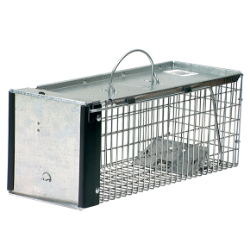 Options: 0745 - 16" 1078 - 24" 1079 - 32"
Professional style, high tensile wire mesh makes trap more durable without making it heavier. Trigger pressure adjusts to target animal size and reduces undesirable catches. Fully assembled, easy to set, bait and release for consumer-friendly operation.